How Do I Add Generic Items or Wire-by-the-Foot to a Proposal? If you need generic SKUs, placeholders, or wire by the foot, there are generic SKUs built into the Catalog. 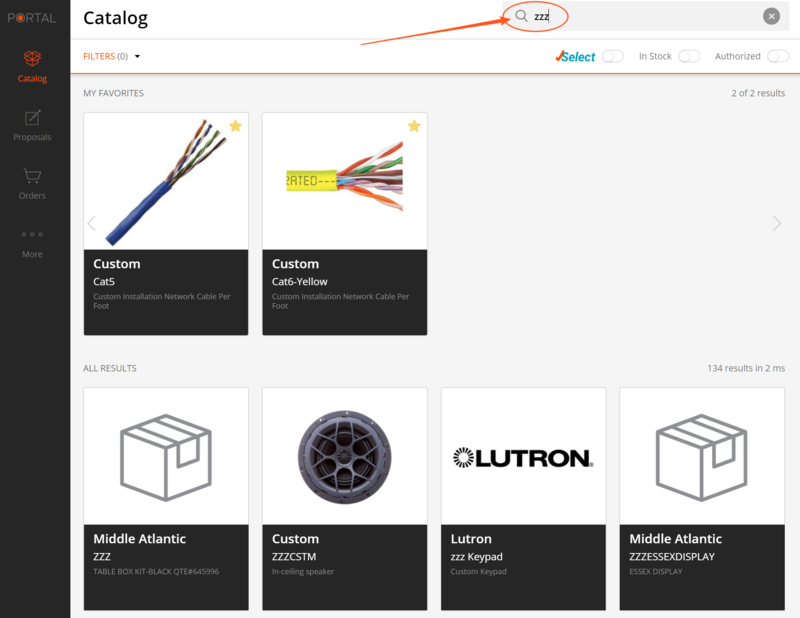 In an effort to make life easier for our dealers, we've got a handy section of generic SKUs, placeholders, and wire-by-the-foot items in the catalog. There are currently several search phrases that will pull up these results. "Custom"- Custom cabling products, etc. From these pages, you can then add more search terms, like Cat5, or use the filters on the left to narrow down results. We have different wire types as well as SKUs for generic TVs, customer-owned hardware, etc. When added to a proposal, the items in this section will appear alongside the other products and can be edited the same way. You can also create a Custom Item in your proposal.